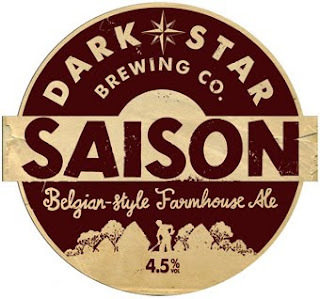 A British Saison looks quite "political" (let me say it) - Rock on Dark Star guys! Mark, I see there are one or two interesting beers from the grim north - if you've not tried the Bank Top Dark Mild please do so - it's usually obe of the best dark milds around. And if you've not had Robinsons Old Tom on draught (I think you have haven't you?) then you must try it. By the way, Dolmen is one of the more malt accented Pictish beers rathet than the usual hop fix. I had a pint of this at the Marble Arch on Sunday, and it was delightful. 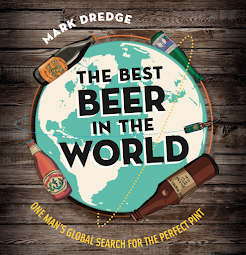 I think more of us UK brewers should have a go at this style, but Mark and his team have truly nailed it, so should we even bother? I also tried the Six Hop at Sussex beer festival last week, it was beautiful, especially for its strength, and drank gallons of the rest of the range at the Evening Star, worth visiting Brighton alone. Definitely in my top 5 pubs (maybe not quite as good as the Coach and Horses, but that's an unfair comparison). JC, I'm sure I'll fancy a mild at some point during the festival so I'll try it out. I have had Old Tom before. It's a good beer list this year and there's a good amount of Kent beers on, which is nice to see. Dominic, they have totally nailed it, I think, especially at 4.5% where it's a little lower in ABV compared to more traditional ones. Saison is a style we hardly see so in the UK and it'd be interesting to see what other brewers could do with it. When Six Hop is on form then it's a super beer. And The Evening star rocks. I'd go to Brighton just to go to that pub, for sure! They had Golden Gate on and I wish I'd gone for some of that now, but I didn't. Next time! That's interesting, not a style you see british brewers trying out that often. Sounds good, too. Fantastic - glad they're producing this again, had it at our post-festival meal after last year's Newcastle Beer & Cider Festival, and it went down a treat. Can't wait to try it again.